Houseplants have gone from old to vogue. They’re in every design magazine and on the lips of hipsters and celebrities wanting a beautiful living space, cleaner air, and a calmer head. Every plant has a unique texture, growth pattern, colour, and form. So every plant blends different into the design trends of the day. Here’s my check in on what leaves we’re set to love this winter. Called the “It Fig” by the New York Times , the Fiddle is the king of trendy houseplants. It’s glossy, rich leaves and modern style have made it the darling of interior designers and Millennials alike. Wherever they go, they make a statement. Broad leafed, dark greens and proud, they’re an instant focal point. What they aren’t is subtle, and putting more than one in a room is usually excessive. Beauty isn’t always easy. Fiddles are finicky to care for, needing high light, attentive watering, and an allergy to being moved. While it’s famous for the surface area of its leaves, they will also attract a famous amount of dust. Wipe them down occasionally to keep them at their contemporary best. This one goes by snake plant, Sansevieria, and the chuckle-worthy Mother-in-Law’s tongue. And it’s getting more popular by the week. It’s narrow enough to fit into tight spaces, has sleek enough lines to please your inner designer, and cleans the air to boot. Having one near your study or workspace will calm you down, help improve your concentration, and remove toxins like benzene, carbon dioxide, and xylene. You don’t need a green thumb. 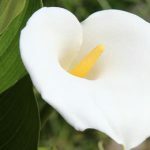 They’re tolerant of drought, thrive in almost any light level (except scorching sun), and rarely need transplanting. Wipe them down occasionally to keep them at their elegant best. Also called Tillandsia, they’re for people who don’t want their Grandmother’s houseplant. 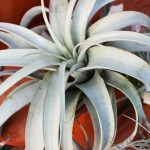 Air plants don’t live in soil and come in hundreds of shapes, sizes, and textures. Creative plant-lovers adore air plants. 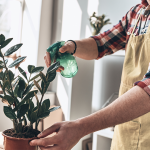 A little non-toxic glue and they turn centerpieces, windowfarms, flower arrangements, and pretty much anything you can think of into living art. Mount them anywhere, experiment with their shape and texture, and they’ll continue to grow, bloom, and get conversations started. While they don’t need soil, they still need water. A daily mist is usually enough, but every few weeks you’ll probably want to give them a dunking and let them drip dry next to the dishes. 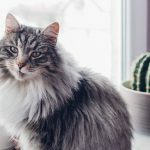 Succulents have been the rage for years, but now the trend is branching into how different types with unique qualities. Haworthia are miniature, slow growing succulents that embody everything cool about the trend. Easier to care for than its cousins, Haworthia don’t need bright, direct sunlight. Their small root systems also make them ideal for open terrariums, mounting on fridge magnets or anywhere else the imagination takes you. 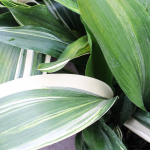 The Zebra type have crisp white stripes running across the plant. It’s going to stay small, so place it where you can admire it from nearby, like a desk or kitchen windowsill. Yes, you read that right. What’s old is new again. And when I say old, I mean prehistoric. Bostons, and its host of fern cousins, are back in vogue. It’s tough, pulls a massive amount of toxins out of the air, and has a bed-head demeanour that retro-designers can’t resist (spoiler alert; macrame is back in style, too). Opt for cleaner ferns if you’re averse to a little mess. But the amount the shed pales when compared to how many toxins they clean from the air. 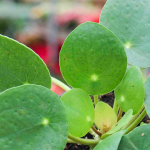 One of the best air cleaning plants in the world, Boston’s actually eat benzene and formaldehyde. They pull them into their roots and convert them to nutrients. While they thrive in well lit rooms, they will tolerate lower light levels (though they might grow pale). Keep the soil moist and try to spritz with water daily.